Photos of St. John, Indiana, an affluent Northwest Indiana community located in the west central portion of Lake County known as the ‘tri-town’ area. 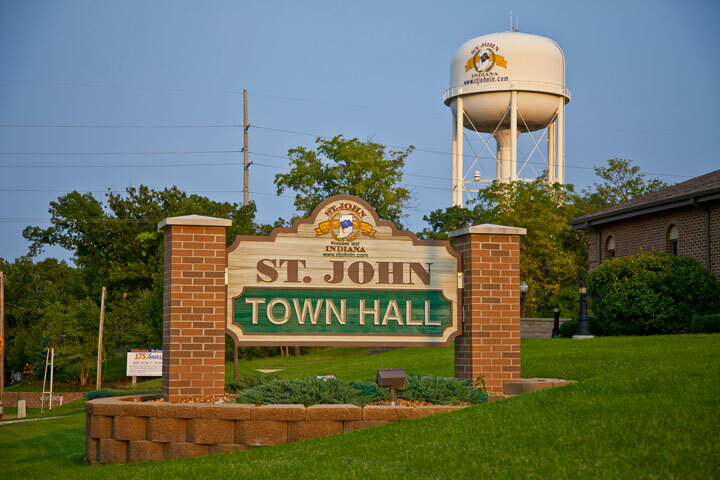 St. John has grown from a very small town into a full-blown residential subdivision located just over 30 minutes from Chicago. St. John was recently named one of the fastest growing cities and towns in the Chicago area and was only one of two Northwest Indiana communities named. Popular photos of St. John, Indiana include the Shrine of Christ’s Passion, the St. John Water Tower, Lake Central High School, West Prairie Park and more.